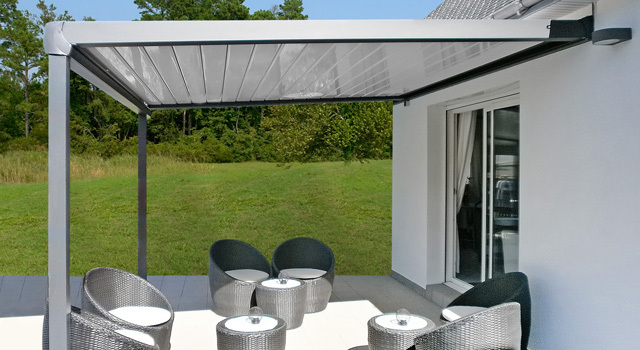 In addition to their sleek and robust design, Mitjavila Horizon V2 bioclimatic pergolas will also protect you from both the sun and rain. When it comes to outdoor living, it may be difficult for you to choose between a pergola, a stationary awning and a retractable awning because each product has its different advantages. What makes bioclimatic pergolas so effective is their ability to effortlessly alternate between a desired exposure to the sun and a completely weatherproof shelter. Due to their adjustable aluminum blades, Horizon V2 bioclimatic pergolas allow adjustments on request. 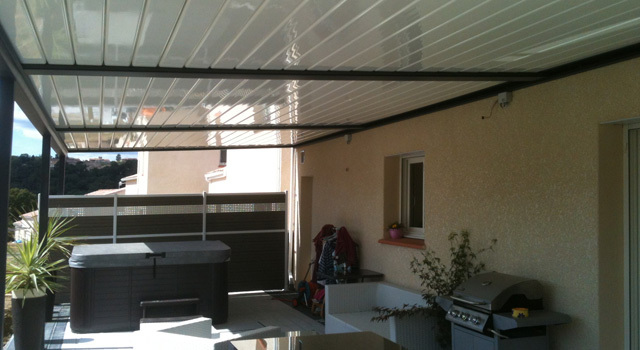 You only need to press a button in order to control the angle of the blades of your pergola. 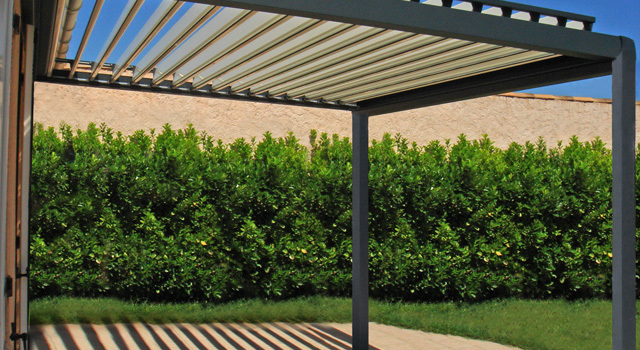 When the blades are completely closed, the pergola will transform into a waterproof roof, protecting you from the rain. Rainwater is conducted directly into the posts, making the water flow invisible. The bioclimatic pergola is available in two versions: one that is attached to the wall of your residence and one that stands autonomously on 4 pillars. The pergola is also available in a variety of colors to complement your home. 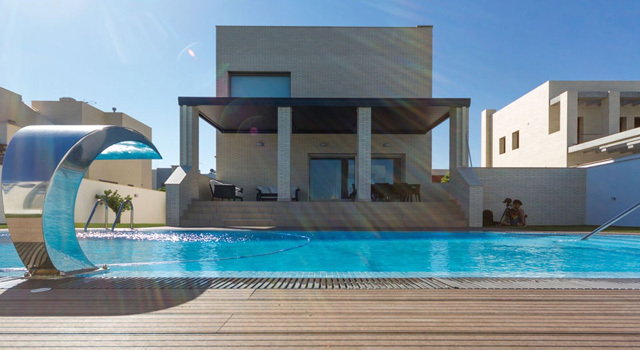 Mitjavila pergolas are made of high quality materials and their unique design offers robustness, elegance and ultra-quiet operation. Have an awning project in mind? Want to enhance your home or business with an awning? We will meet you at your project site in order to understand your needs and give you an estimate. Why Choose Décor Au Vent? Over the years, we have been recognized for our outstanding innovation, creativity, technological know-how, quality of product, workmanship and customer service. Make an appointment with us for an on-site appointment or showroom appointment. We make sure that every customer is fully satisfied. See what they think of our service!